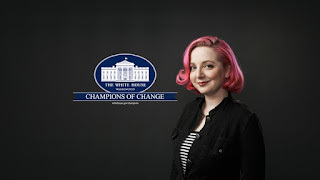 Ham Honored by White House as "Champion of Change"
Limor Fried, AC2SN, the founder of Adafruit Industries, was one of ten people honored at the White House in June as "Champions of Change for Making." An MIT engineering graduate and recently-licensed Extra Class ham, Fried founded Adafruit in 2005 with a goal of creating "the best place online for learning electronics and making the best designed products for makers of all ages and skill levels," according to the company website. Honorees were selected, according to a White House statement, "for their personal passion and tireless efforts to make advances in technology … that empower even more Americans to become tinkerers, inventors and entrepreneurs." The Champions of Change were recognized at a White House ceremony on June 17. 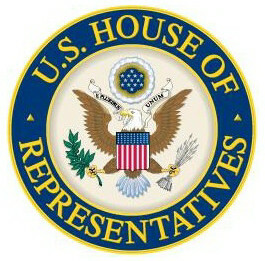 House Action on Amateur Radio Parity Act Delayed by "Sit-In"
A "sit-in" by House Democrats in late June to demand a vote on bills related to gun violence resulted in a delay in committee action on HR 1301, the Amateur Radio Parity Act, which would assure hams in antenna-restricted private housing developments the right to get on the air with an outdoor antenna. The bill had been scheduled for a "markup" by the full House Energy and Commerce Committee on June 23 – at which time amended language agreed to by the ARRL and the Community Associations Institute (which represents homeowners' associations) was slated to be introduced – but action was delayed until July due to Speaker Paul Ryan's decision to call an early start to the House's Fourth of July recess in order to end the protest on the House floor. ARRL to NTS and Section Official: "You're Fired!" Joe Ames, W3JY, has been removed as Eastern Area Chair of the National Traffic System (NTS) and as Eastern Pennsylvania Section Manager; and had all of his ARRL Field Organization appointments revoked by the League's Executive Committee. According to the ARRL Letter, Ames "unilaterally and repeatedly communicated with officials of the Federal Emergency Management Agency (FEMA) on behalf of NTS, making commitments on behalf of ARRL without authority…" and continued to do so after being warned to stop by then-CEO Dave Sumner, K1ZZ. The League said Ames's actions not only violated the rules and regulations of the ARRL Field Organization but also were contrary to provisions of the Memorandum of Understanding between FEMA and ARRL, which stipulates that ARRL headquarters staff will be the "single point of contact" between the agencies. The League's Programs and Services Committee appointed George "Bud" Hippisley, W2RU, as the new NTS Eastern Area Chair. Hippisley previously held the position from 1976 to 1983. At press time, a new Section Manager had not been appointed. North Korea … Again? … Maybe?